Joseph Peller’s career began as a medical doctor following his graduation from the University of Toronto in 1948. An accomplished physician and researcher, he practiced medicine for over 20 years. In 1965, Dr. Peller left his position as Chief of Medicine at the Hamilton Civic Hospital to join his father, Andrew Peller, who founded Andrés Wines in 1961. Joseph was drawn into his father’s business through a sense of family loyalty. He shared his father’s burning entrepreneurial spirit and wanted to help bring to reality his dream of operating a world-class winery. The characteristics that made Joe Peller an outstanding physician also made him a successful entrepreneur. His loyalty and commitment, strong work ethic, ability to create leaders, and his willingness to listen to people are all factors that influenced his success. Joe served as President of Andrés Wines from 1966 to 1976 and later took over from his father, Andrew, as Chairman and CEO. Joe was instrumental in developing Andrés Wines into one of Canada’s leading vintners with operations in almost every province producing a full range of wines. At the time of award, the company remained a family enterprise in its third generation with Joe’s son John acting as President and CEO. The Peller’s uncompromising commitment to quality and innovation is a cornerstone of their success. The company reaches a broad spectrum of wine consumers with their diverse range of products including the premium Peller Estates and Hillebrand Estates brands, and popular-priced products such as Hochtalar and Domain D’Or. 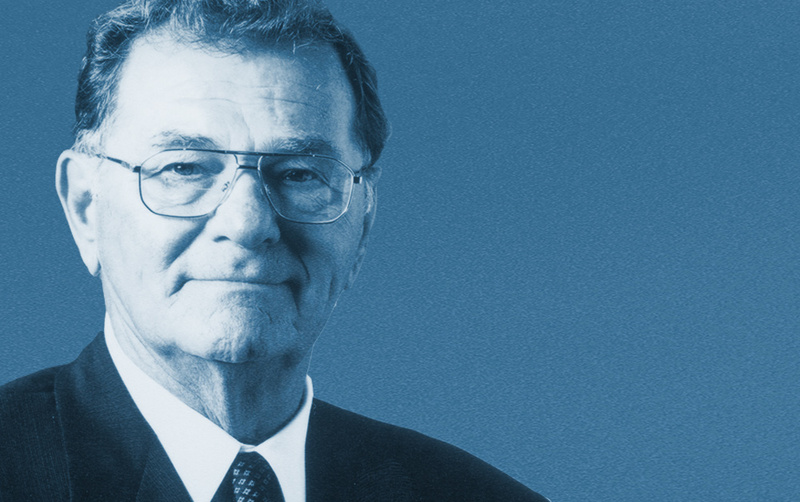 Throughout his career, Joe has been active in his community, serving on several hospital and educational boards as well as serving as Chairman of the Canadian Wine Institute for over ten years. Joe has served as Director-at-Large for the Canadian Chamber of Commerce and Royfund Equity Ltd., and served as a member of the Board of Governors of Royal Mutual Funds. Dr. Peller has earned a reputation of aggressively addressing the international trade environment in an attempt to open markets. It is as a proud son, father of six, and loving husband to his wife Connie, Dr. Joseph A. Peller has earned the honour of lifetime achievement.